With the holidays just around the corner, Charlotte Motor Speedway is gearing up for an unrivaled Christmas light show extravaganza. 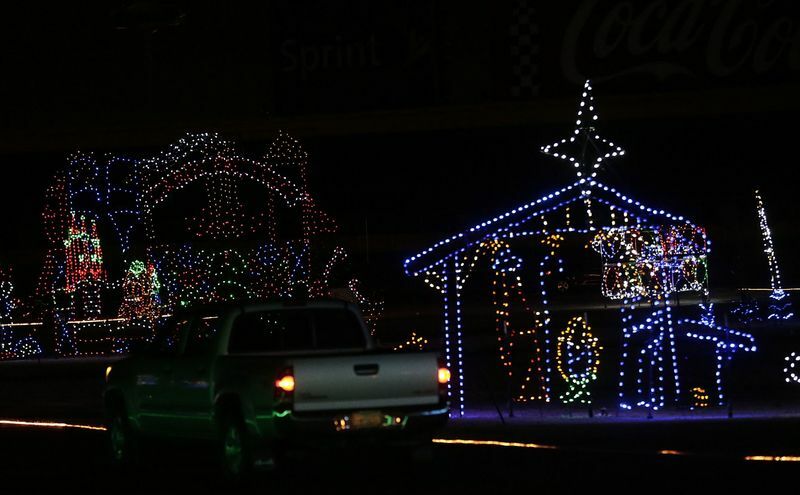 Speedway Christmas returns Sunday, Nov. 19, with three million lights covering 3.75 miles around the speedway, infield and concourse that will illuminate the iconic race track with Christmas-related staples including Santa Claus and Frosty the Snowman. ANIMAL PETTING ZOO: Attendees of all ages can enjoy a petting zoo in the speedway's infield near the Christmas village located in the NASCAR XFINITY Series garage. EGG NOG JOG: The night before Speedway Christmas features the Egg Nog Jog 5K, a high-energy fun run/walk on Saturday to kick off the holiday festivities with hundreds of runners taking to the speedway's spectacular infield course. A record crowd of participants are expected to attend this year's event, with runners donning everything from Christmas sweaters to Christmas lights. 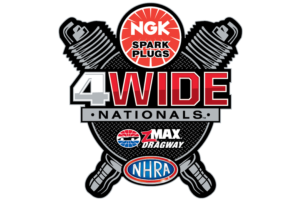 A fireworks show will further illuminate the speedway post-event. FOX 46 MOVIE NIGHTS: From Thursday-Sunday of each week, bundle up and enjoy Christmas classics as Charlotte Motor Speedway's giant Speedway TV becomes a drive-in theater. Holiday-themed movies including "Frozen," "Elf" and "National Lampoon's Christmas Vacation" are sure to light up the evening. CARRIAGE RIDES: Few things encapsulate the holiday spirit like a horse-drawn wagon ride, and there's no wagon ride like a Charlotte Motor Speedway wagon ride. S'MORES MAKING: Bring your own supplies or purchase a s'mores kit from the Christmas village. We provide the fire pits. All you need to provide is the campfire storytelling! BETHLEHEM VILLAGE: Church volunteers will bring the Christmas story to life in a living nativity scene outside of the Christmas village. PHOTOS WITH SANTA: Children can get their pictures taken with Santa until Dec. 24 and again Dec. 29-30 in the Christmas village. Additionally, children can meet a real Ice Princess and get a picture with her each day the show is open through Dec. 30. FUN FOODS AND VENDORS: You can even do some Christmas shopping for friends and family as jewelry makers, homemade soap vendors, craft artists and more will be onsite showcasing their products in the Christmas village. Confections ranging from mini donuts, Greek fare, funnel cakes and barbecue will be available for purchase.